Skeletal muscles are important not only for locomotion but also for the regulation of whole-body metabolism. Muscles have remarkable capacity to regenerate after injury and to adapt in response to exercise training. 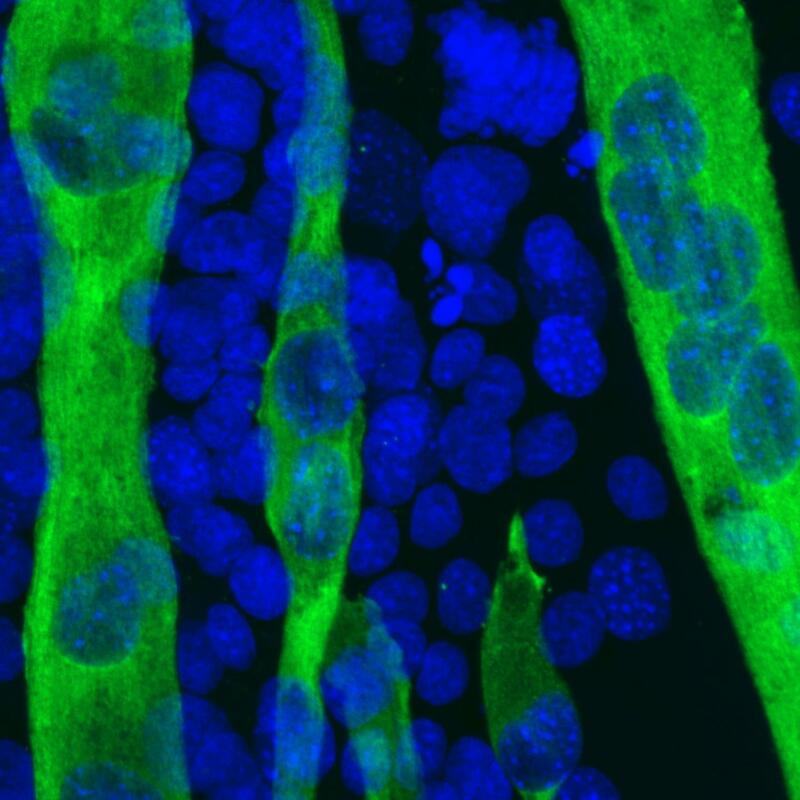 Prox1 gene has an important role in fetal life for the development of the liver, lymphatic vessels and lens in the eye. The gene also has a dark side – it plays a central role e.g. in the development of colorectal cancer (Wiener, Alitalo & al. Cell Reports 2014). Researchers from Wihuri Research Institute and the University of Helsinki, Finland, have now found that skeletal muscle stem cells called satellite cells also express the Prox1 gene. The new surprising results of the study, published in Nature Communications, show that satellite cells differentiate into myofibres only when Prox1 is active. The researchers found that Prox1 was also expressed in adult slow muscle fibres, which have good endurance capacity and high metabolic activity. About half of the skeletal muscle fibres in adults are slow fibres. "Prox1 gene transfer into fast muscles converted them towards the slow fibre type in mice, whereas Prox1 deletion increased the activity of fast fibre genes", tells the lead author, Academy Research Fellow Riikka Kivelä. "Our new findings on the essential role of Prox1 in satellite cell differentiation and slow muscle fibre type maintenance provide an important novel avenue for studies in muscle and metabolic diseases, such as type 2 diabetes. In humans, Prox1 gene polymorphism has been linked to increased risk for type 2 diabetes", Kivelä says.